Yesterday we shared with you a touching and sentimental advertisement Nintendo has put up for Pokemon Let’s GO Pikachu/Eevee in Japan. 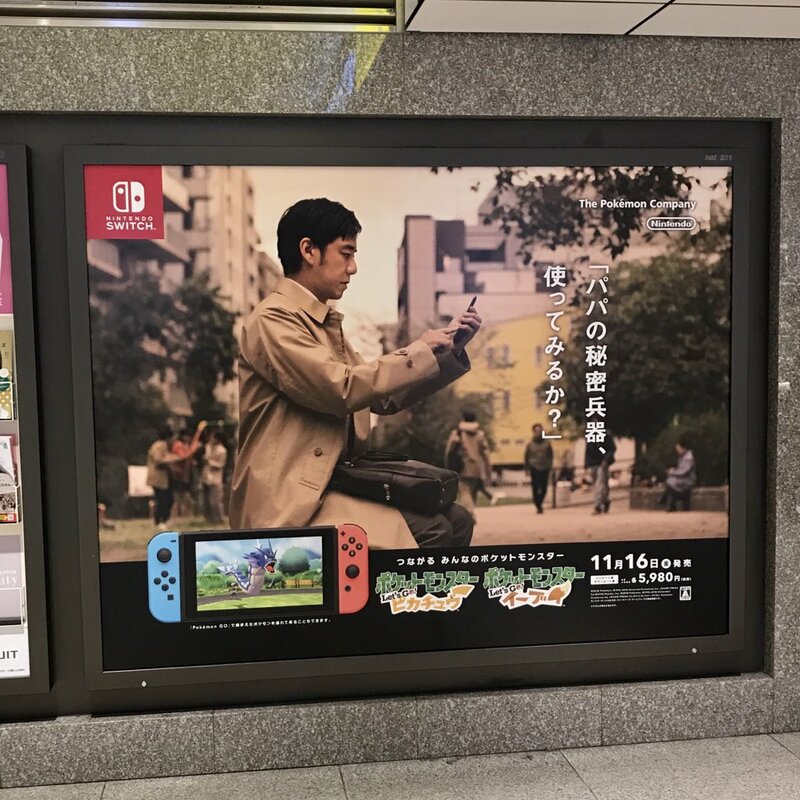 While yesterday’s advertisement featured Grandpa, today’s advertisement spotted at Tokyo station stars a father playing Pokemon GO after work. 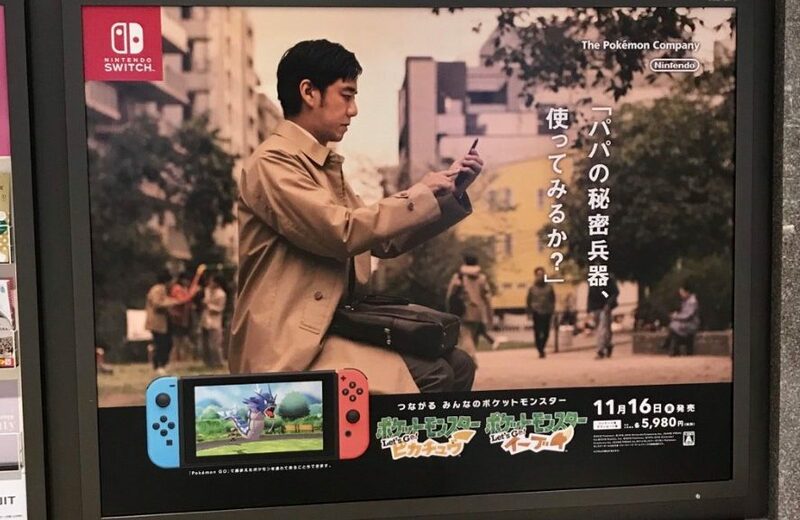 The advertisement refers to the ability to transfer Pokemon from Pokemon GO to Pokemon Let’s GO Pikachu/Eevee. The father wants you to try using his secret weapon, Gyarados, in Pokemon Let’s GO Pikachu/Eevee.